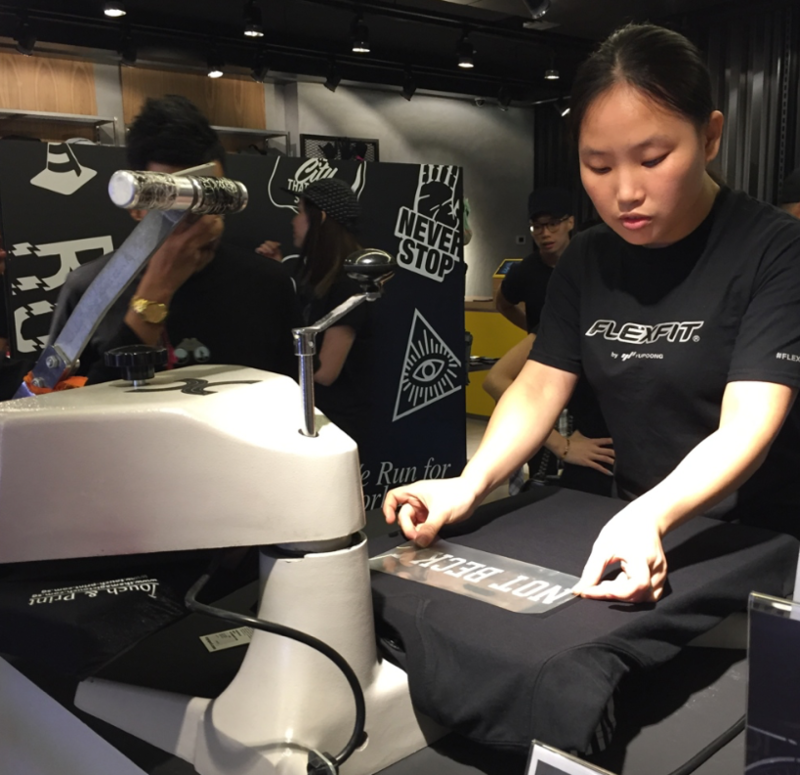 Where do you usually see silk screen printing on an adidas running tee? 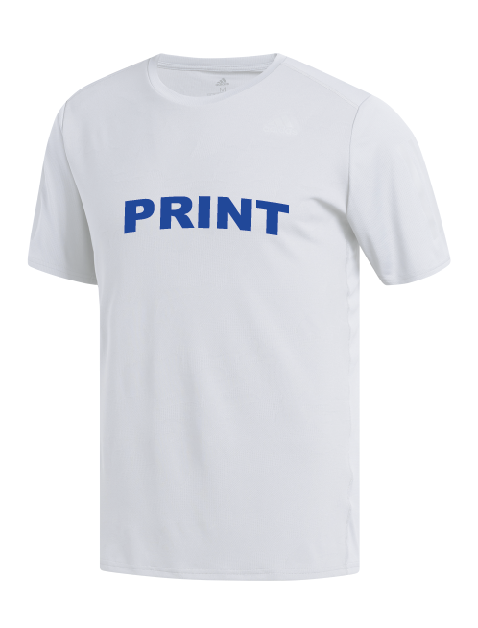 At Ark Industries, we have customised adidas running tees for organisations taking part in local marathons, for running groups and sports teams such as the celebrity soccer’s team in Singapore. 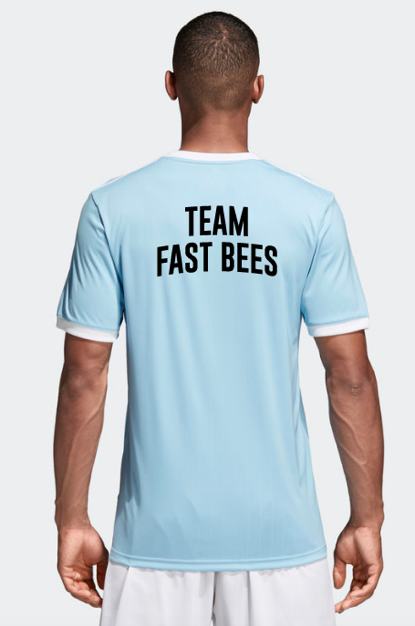 It is common to have the company logos silk screen printed on the left or right chest, with the event name and team name printed on the back of the adidas running tees. Some companies also like to print their company motto on the left or right sleeves. Corporate branding helps the team to feel a sense of belonging and also portray united look to the community and other stakeholders. Companies choose to buy adidas as their “running uniform” or team tee for a few reasons. Firstly, if the teams are buying low quality adidas running tees or adidas tee shirts, it could impact their comfort and their performance. Secondly, teams are more likely to wear the adidas tees after trainings, races or competitions. Thirdly, teams feel better and more valued if the companies provide a better quality uniform as a staff benefit and this helps to increase team morale. As a result, we are seeing more and more companies who are willing to go for better quality clothing for their employees. Silkscreen printing is one of the oldest printing methods in the world, and it is both fast and cheap (for larger quantities). Silkscreen printing is also durable, vibrant and does not tear or wash out easily. When teams purchase adidas apparel with Ark Industries in bulk, we will offer bulk corporate discount with printing, and the total cost will be lower than buying the tees from adidas Singapore store. This makes buying adidas apparel with customisation at Ark Industries for your team, a very attractive proposition. For silkscreen printing on adidas running tees, it is preferable to go with Ark Industries for your printing needs. We are experienced in handling silkscreen printing on adidas apparel as we are the corporate distributor for adidas. Recently, there has been a rise in live printing events where you can witness artwork being silkscreen printed on your choice of item. These live silkscreen printing events are planned to be included in product launches. 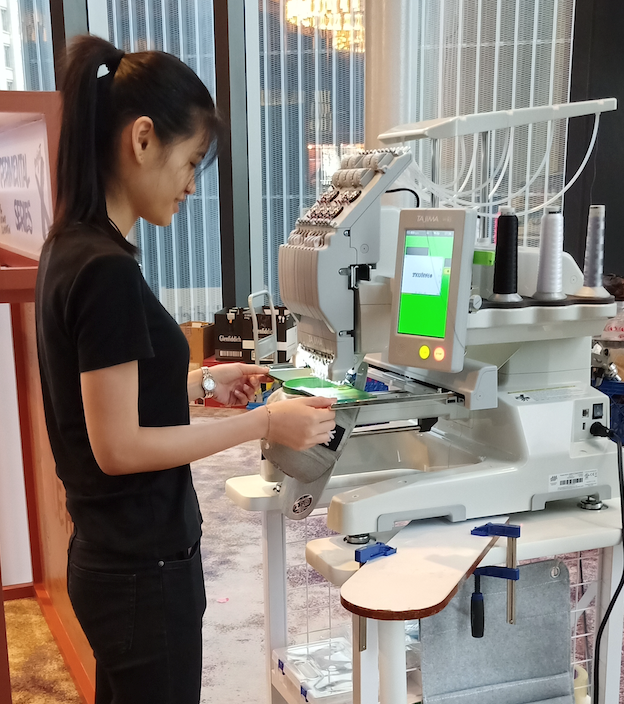 For example, If a brand is launching their new line of team wear or perfume range, they could have a live silkscreen event as a way to engage their guests and customers. At Ark industries, we also help event organisers and companies to increase engagement with the audience by providing live embroidery and live heat transfer printing services. Unlike silk screen printing, where the design of the template is fixed, in live embroidery and heat transfer printing, you can customize your own initials and names onto your adidas running tees. This will create a positive and memorable experience for the guests. As per pictured above, we have recently held a live embroidery event, where the guest is able to have his initials immediately embroidered onto the back of the cap. Guests are able to choose the colour thread and the characters, and they can come back for collection later on in the event. No matter what you wish to achieve in the realm of print and embroidery, do feel free to contact us at Ark Industries. Call us at 6352 0988 or email us at info@ark.sg for more details!